Published on Thursday, December 18, 2014. As 2014 draws to a close, the education department of the ACC is wrapping up a year-long project to document the lives of potters living in Minnesota's St. Croix River Valley. 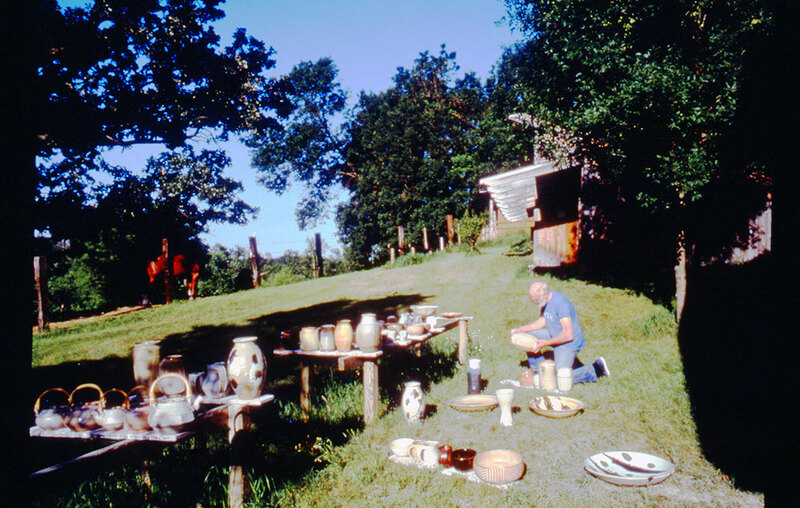 Funded through a Minnesota Historical & Cultural Heritage Grant, the project involved conducting oral histories with 10 ceramists living in the region and participating in the annual St. Croix Valley Pottery Tour. I got to be kind of lonely for contact and talk, so I had the idea, and I got to know a lot of well-known potters around the country, and I would ask them if they would come for a week in the summer. They would all work here and we'd pack the big kiln, fire the pots, then have a giant sale in the yard where everyone's work was out for sale. I think that's the closest I come to a beginning for what eventually became the St. Croix Valley Pottery Tour. In connection with the recent coverage in American Craft magazine on the influence MacKenzie has had on artists near and far, we've made his our first oral history interview available through the ACC Library Digital Collections. Take a listen to the audio or read the transcript for more on the creative life of this nonagenarian, and look for more oral history interviews with potters including Warren's protégés Linda Christianson, Jeff Oestreich, and Guillermo Cuellar, in the new year.